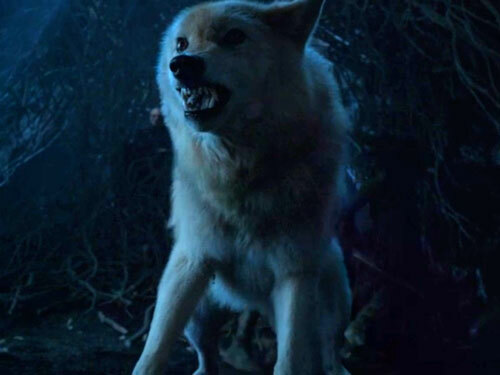 We really need these Direwolf deaths to come to a stop on “Game of Thrones"
While the world boohoos over our favorite Stark servant, let’s not forget about that other MAJOR death in last night’s awful (but possibly one of the best?) Game of Thrones episode, “The Door”. 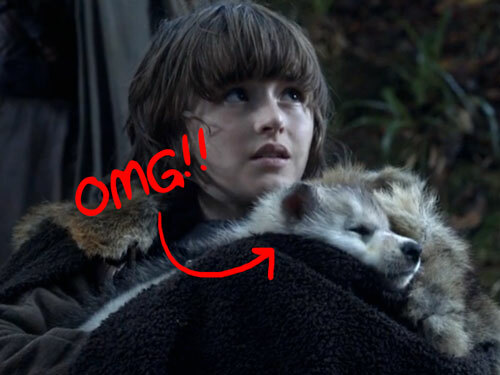 That’s right, we’re talking about Summer, Bran’s beloved Direwolf. Remember when she protected a coma-ridden Bran from a freakin' assassin? Let’s just back it up for a second and go WAY back to the beginning, like literally episode one. Still, father Stark had some very important parental guidelines for raising the pups. “IF. THEY. DIE.” Eesh. 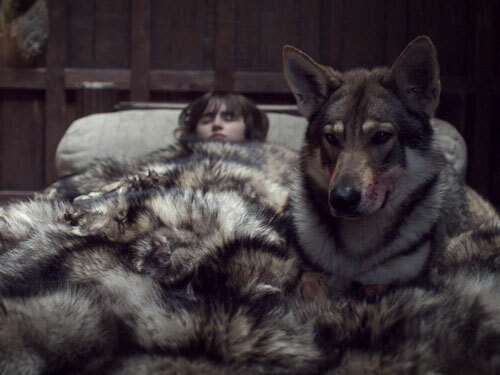 Back in those innocent days we might’ve guessed one maaaaybe two of the Direwolves would eventually die (’cause, you know, drama), but at this point it’s just getting ridiculous. Discounting Nymeria (we’re going to assume she’s happily running around Riverland somewhere eating a lot of meat and having a grand old time), we are really left with ONE FREAKIN’ DIREWOLF. And we’re not the only ones who are not okay with this. And look, we get it, George R. R. Martin doesn’t give AF about our ~feelings~, but come on now…the Direwolf death train needs to come to a serious halt. 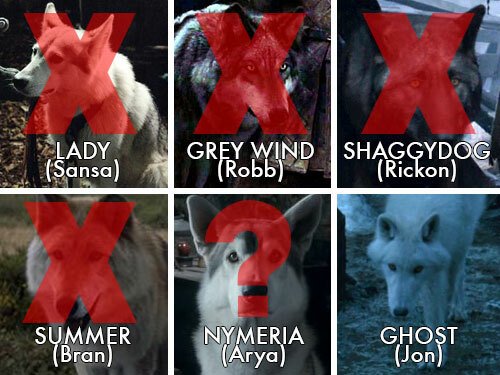 We have no idea what the future holds for Ghost (and Nymeria), but our fingers are crossed extra tight in the hopes that the remaining two Direwolves make it. But until then let’s just take a moment to say goodbye to our most recent loss from the Direwolf family.